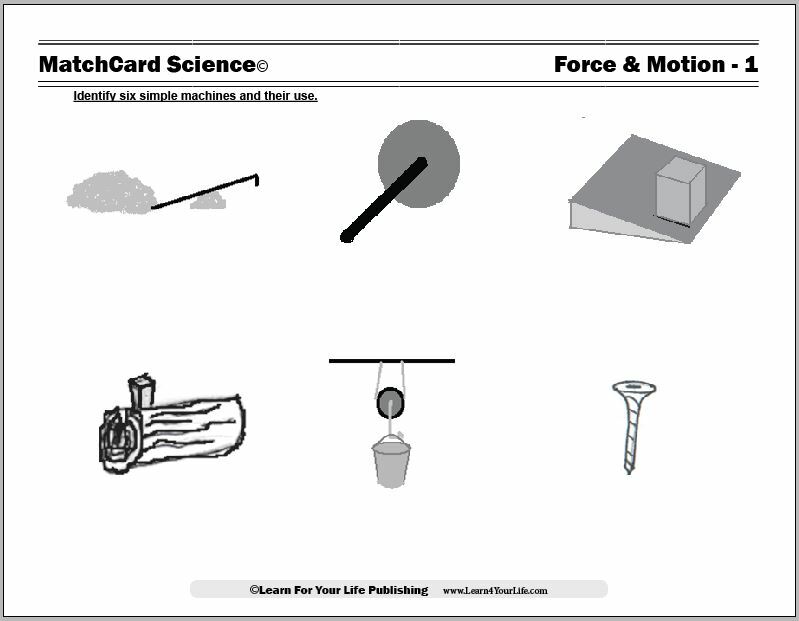 MatchCard #1: Identify six simple machines and describe their uses. Force and Motion Activities: Practice using the six simple machines. 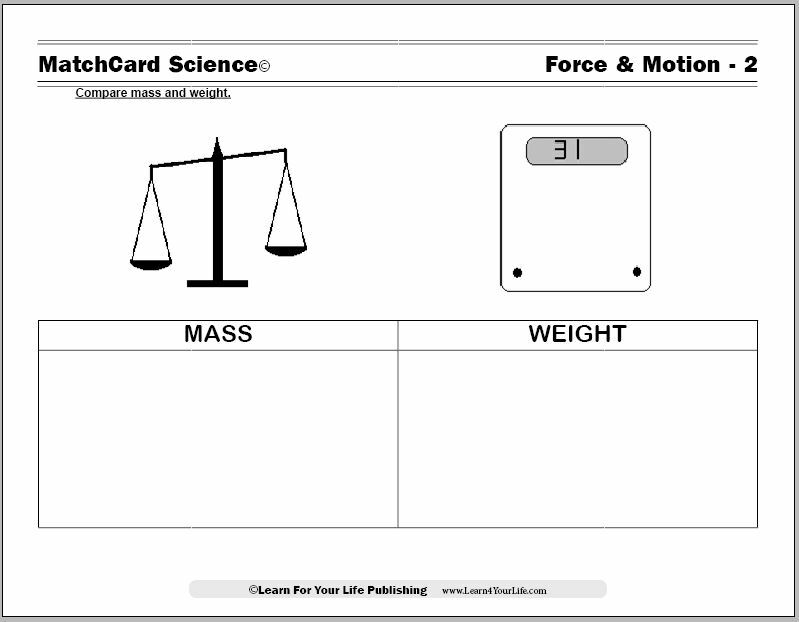 MatchCard #2: Compare mass and weight. 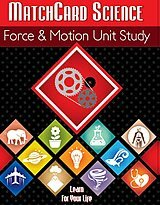 Force and Motion Activities: Practice using scales that measure weight and those that measure mass. Make a balance scale. Find out if air has mass. Weigh in on the subject: What is the difference between mass and weight? 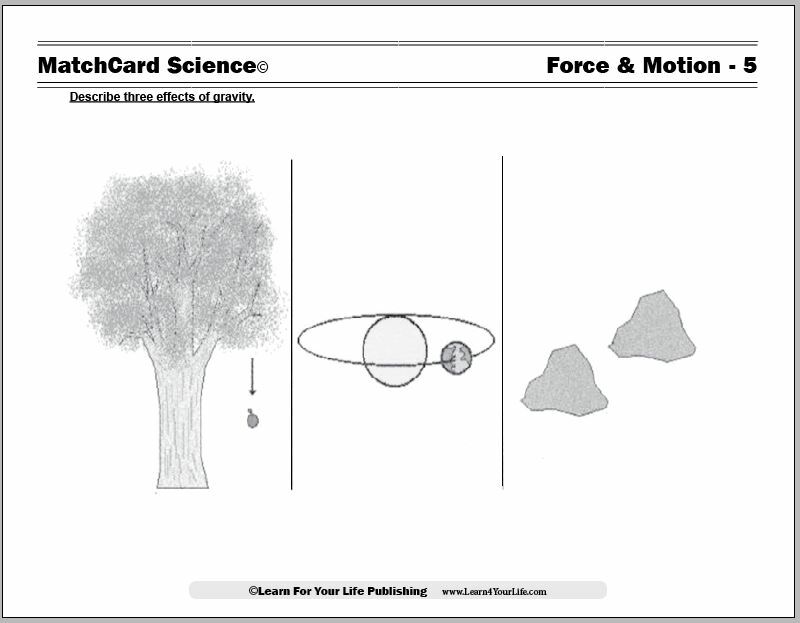 MatchCard #3 & 4: Demonstrate the effects of friction and inertia. 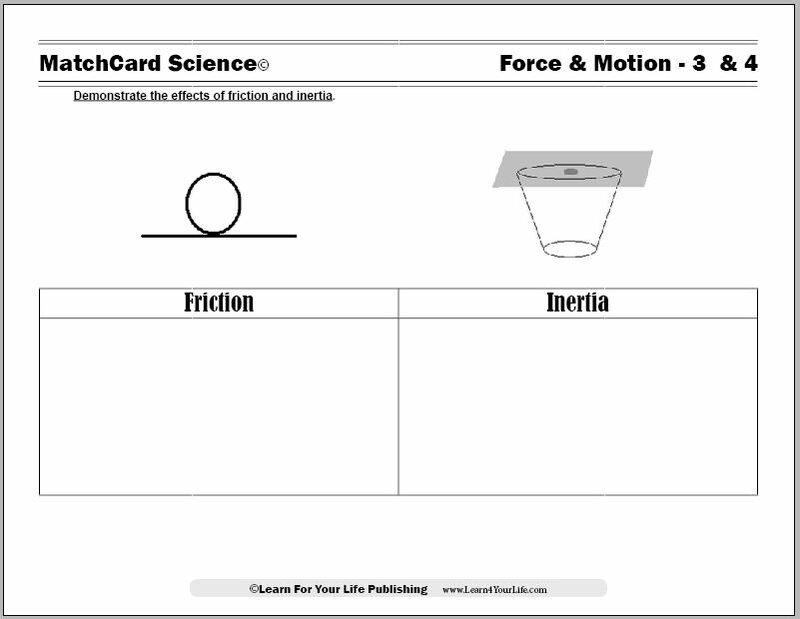 Force and Motion Activities: Skate, slide, and scrape your way to understanding friction. Pull an old card trick on inertia. 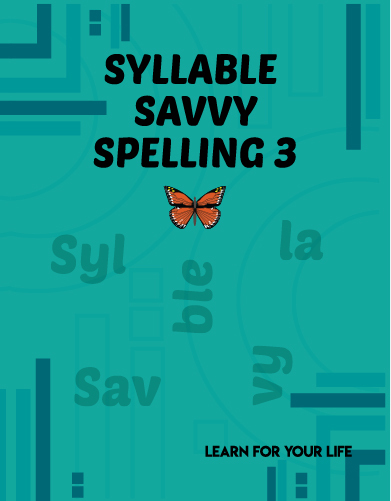 MatchCard #5: Describe three effects of gravity. Force and Motion Activities: Does gravity make heavier objects fall faster? Do some tricks with the center of gravity. 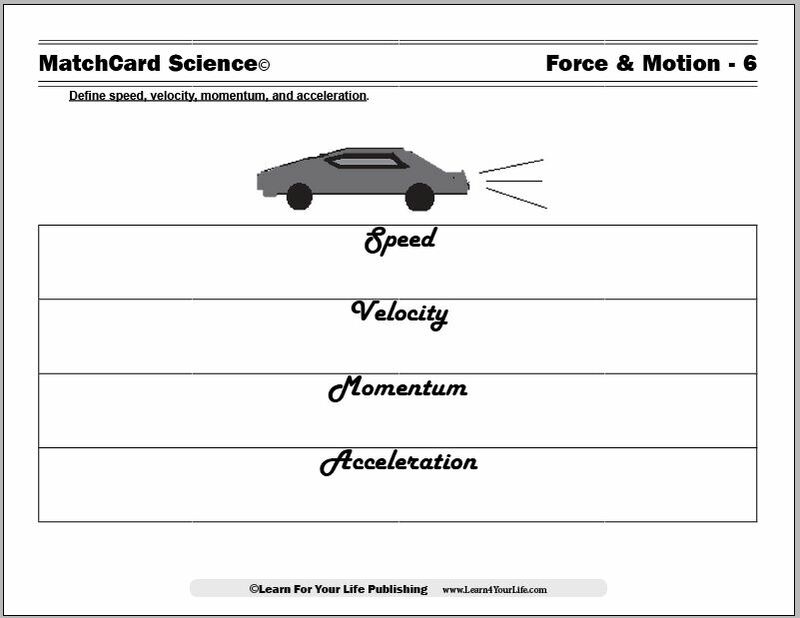 MatchCard #6: Define speed, velocity, momentum, and acceleration. 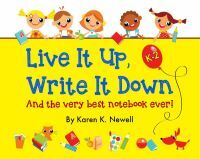 Force and Motion Activities: Start with toy cars and progress to amusement park rides. 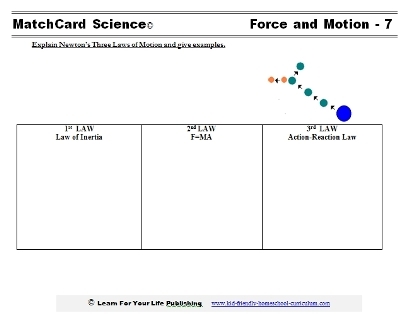 MatchCard #7: Explain Newton's three laws and give examples. 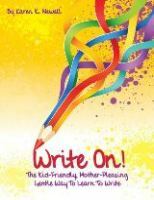 Force and Motion Activities: Play ball! Marbles, croquet, soccer, baseball - sportsmen use the 3 Laws to win. 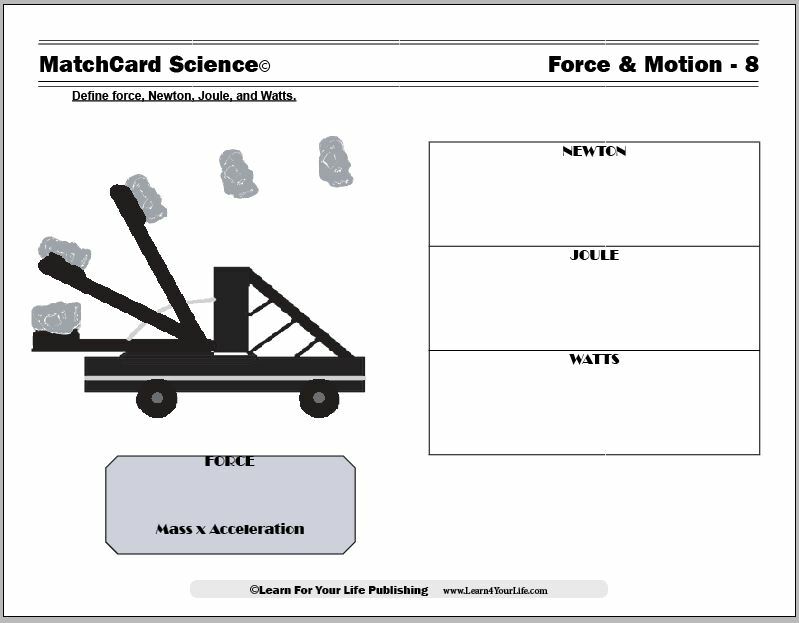 MatchCard #8: Define force, newton, joule, and watts. Force and Motion Activities: Build a catapult. Watch that meter and read the bill. Watts that? Newtons, Joules, and Watts.